The CFPB Rulings on Checking Account Access: Burden or Opportunity? Banks and credit unions have no obligation to go out of business by taking on unnecessary risk with their deposit account opening policies. Rulings by the Consumer Financial Protection Bureau (CFPB) will definitely change the way most financial institutions use negative data (e.g., previous accounts closed-for-cause) to outright deny the consumer’s request to open a checking account. If consumers with a history of account abuse are approved and provided a checking account with privileges such as overdraft protection, the implication to the institution will be a loss in profits. 2.These ‘risky’ customers are managed exactly like a lower risk customers that are traditionally brought on board. Obviously, configuring a new financial services product is not as easy as it sounds; however, these ‘second chance’ or ‘basic transaction’ products are acceptable to the CFPB and protect the bank from account abuse losses. This new product in-and-of-itself will not lead you down the road to meaningful profit if these customers utilize only this account. It is necessary but not sufficient. You will now open accounts that you normally would not let through the door. But you can also mitigate your risk by giving these consumers a bare bones account where the institution is not exposed. Indeed, there is a lot of promise in that customer segment—so if you can create a ‘path to graduation’ for those who behave well, you can develop positive customer relationships, grow your assets, and likely retain them. While cross-selling additional product is important, it is critical that you first create a treatment strategy to engage customers with the basic Demand Deposit Account (DDA)—most consumers identify their ‘primary’ financial institutions as the place where they have their main checking account. With an emphasis on cross-selling, many times early lifecycle management efforts, like ‘activation’ and ‘usage’ streams, are given short shrift. Once you have the customer engaged with the DDA, you then need to determine which customers should ‘graduate’ to an account with additional privileges such as overdraft protection. From a risk perspective, you should look for internal account behavior and attributes that indicate the customer can handle the overdraft feature—the average account balance, the minimum balance, the frequency and amounts of withdrawals, the frequency and amounts of deposits, etc. Because you may not have a lot of experience with this customer segment, you should use a ‘test-learn-modify’ approach to hone in on the best targets and the best offers. Not everyone will or should graduate to the enhanced DDA products. The CFPB also wants financial institutions to work with their customers to ensure they do not overspend, so the overdraft feature should not be offered to customers that can’t handle it. Additionally, the offer of the overdraft feature needs to be accompanied with an educational component and simple terms and conditions. The end game of this approach is not tricking customers into paying overdraft fees. The whole point is to develop a trusted relationship with this underserved segment and match them with the best products so they do not leave you for a competitor—there is a large percentage of customers who will not stand for the bare bones product when they have better options elsewhere. When you give these risky, underserved customers a chance and prudently offer them enhanced services, you will have a segment of customers that is very loyal. Because they will view you as their ‘primary’ financial institution (and the one that gave them a chance), you are positioned to provide additional services to those who graduate–longer tenure, incremental lifetime value, and strong referrals. The CFPB has forced change that is scary and requires significant effort, but if viewed as an opportunity the result could be a new group of customers who are highly engaged, fiercely loyal, and most importantly, highly profitable. ‘Separating the wheat from the chaff’ is an old expression that describes situations where you want to keep things of high quality and discard things of low quality. In this old-time idiom, the wheat is the good stuff and the chaff is the bad stuff. 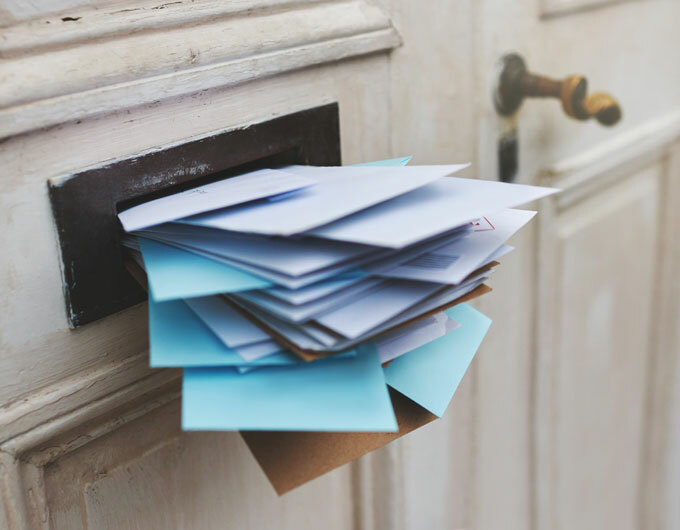 Once upon a time, this process of separation was simple but time consuming and laborious—a perfect analogy for handling address discrepancies. What is an address discrepancy and what is the big deal? Some of you might not recognize the term ‘address discrepancy’, so let’s review. In consumer lending when a credit report is pulled, a credit applicant may provide an address that is different from the address maintained at the credit bureau for that consumer. This situation – called an address discrepancy – is actually commonplace, with 10 to 40 percent of all credit-worthy applications revealing an inconsistency; the range is notably wide, with the incident rate being highly dependent on the product offered and consumer segment targeted. So why should any of this matter to you? Because address discrepancy applicants happen to be highly profitable, yet they are also the most likely group to be declined for non-credit related reasons. That’s right; you may be unnecessarily declining a highly desired segment of perfectly legitimate applicants for no other reason than they moved to a new address. It makes sense, right? Consumers often seek credit or other financial services when they move to a new home, and therefore the new address (that they provide on the application) has not caught up to the credit bureaus. How you treat applications with an address discrepancy can have a profound impact on your top and bottom line. So what makes applicants with an address discrepancy so valuable? First, if the only reason you are putting the brakes on the application is the address discrepancy, then we must assume that the potential customer is acceptable from a credit risk standpoint. So at the most basic level, by failing to open these accounts you have simply missed an opportunity to do business with a customer who has taken all the steps to engage with you! Next, an address discrepancy usually is indicative of a recent move and new movers typically spend lots of money. In the first 120 days after a move, the average new mover spends between $7,000 and $10,000 in non-discretionary income for items like appliances, home decor, paint or electronics. If you are a credit card issuer, these recent movers will exhibit very high activation rates and transaction volumes. Finally, these new movers are also in the process of re-evaluating all of their financial services relationships. Therefore, for more progressive marketers, being able to identify this segment and determine these customers’ needs can lead to more effective cross selling at a critical life stage event. Then why can’t you just approve all address discrepancies? 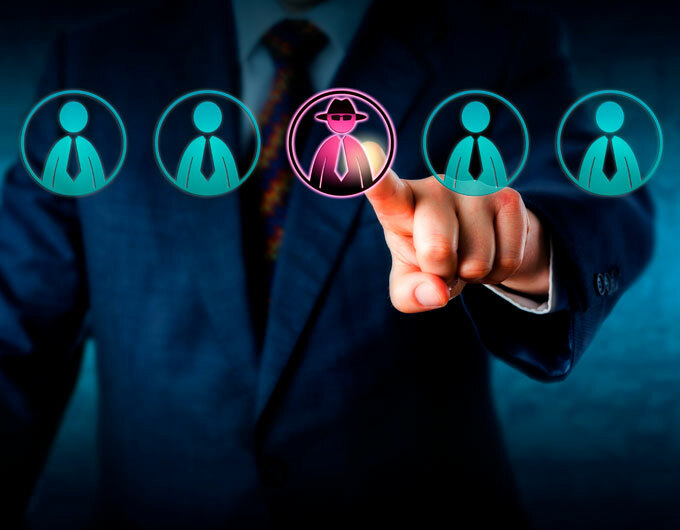 The realities of increased identity fraud risk and stringent compliance requirements make address discrepancies an especially tricky segment to manage. Moreover, one of the primary methods criminals use to commit identity fraud is by filling out a credit application in the victim’s name. The criminal uses all of the victim’s correct credentials except one—the address. This ensures that any cards, statements and other correspondence are sent to the application address (i.e., the criminal), not the victim. Unfortunately, with the proliferation of data breaches, fraudsters have easier and cheaper access to consumer identity credentials —so the threat of this traditional scheme is higher than ever before. Even if the fraud risk wasn’t enough to deter you, there are also compliance requirements that need to be considered. Since 2008, The Fair and Accurate Transactions Act (FACTA) Red Flag 315 requires that when banks and issuers pull a credit bureau report and the application address differs from the bureau address, they are required to ͞resolve͟ the address discrepancy. To comply with FACTA, most banks and issuers simply deploy a standard ID verification system to form a reasonable proof of identity. While this process is compliant, it is by no means optimal from a business perspective—it’s not even close. When consumers legitimately move and an address discrepancy occurs, standard ID verification tools only resolve about 50 percent of the cases. The problem is dealing with the remaining 50 percent of applications that are still unverified. Because this population constitutes between 5 and 20 percent of all of your credit-worthy applicants, the vast majority of which are legitimate consumers—solving this problem is crucial. Some issuers do little or nothing with the unverified discrepancies. That is, if they cannot verify the consumer, they simply decline the applicant, resulting in the loss of many new customers. Many others will take this large population and send them through various manual processes to form a ‘reasonable proof’ of identity. Unfortunately, these manual interventions are labor intensive, expensive and still lead to declining more business than they should. So what should you do with address discrepancies? Clearly, you want to open as many good accounts as possible while minimizing review costs and complying with FACTA Red Flag 315. Therefore, it’s not a matter of whether you should ‘do more’ or ‘do less’ by way of conventional authentication controls on address discrepancies. 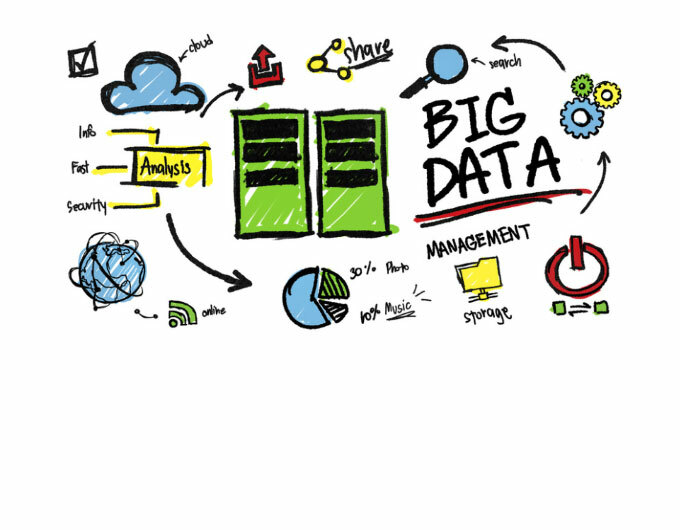 The best solution is to do it ‘smarter’ by using data, analytics and automation. An ideal solution taps into a wide array of data sources, looks for anomalous patterns and provides a score to identify likely fraudulent address changes. Rather than stopping good customers from opening accounts or slogging through manual reviews, you can use this automated, data-driven approach to increase approval rates to 90 percent and greater. At the same time, you will mitigate fraud losses, reduce operational expenses and meet Red Flag and CIP compliance requirements with confidence. To revisit an old adage, you’ll now have an easy way to separate the wheat from the chaff so you can make a lot of bread.